Dates have not been published for this event. 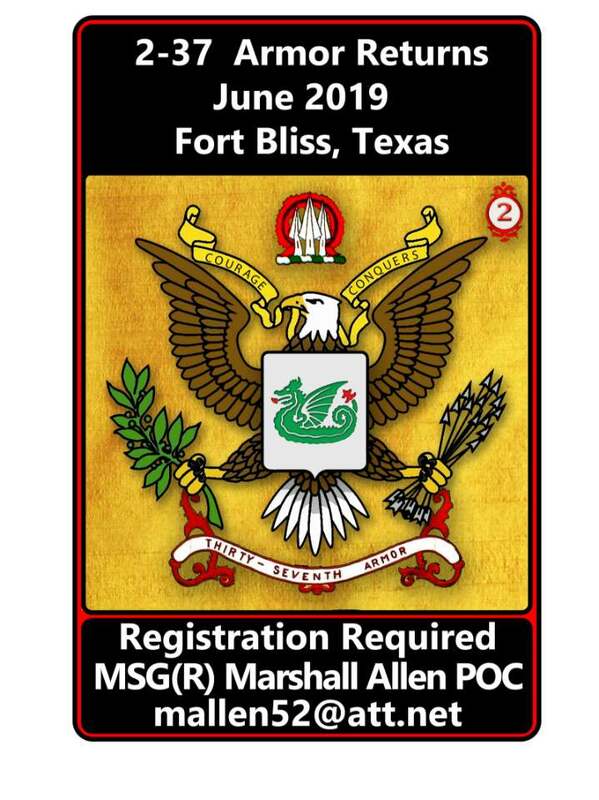 At this juncture, the tentative dates are 13-14 June 2019 at Fort Bliss, Texas. 2-37 Armor will conduct a reunion the night before in El Paso. OPORD will firm up specific dates. 1. Situation: Department of the Army is to re-activate 2nd Battalion, 37th Armor in 2019.